Retired U.S. Air Force Colonel Rick Hudlow recounts his life story in Shamrock 22: “An American Aviator’s Story” (AuthorHouse, 415 pp., $31.99, hardcover; $23.95, paper; $3.99, e book). Hudlow is a man who lived to fly and who devoted his career to the Strategic Air Command—particularly the B-52. Hudlow’s story follows a path laid out by his father—a pilot, business owner, and consultant. Hudlow spent his boyhood at airports. He began flying by standing at the wheel of a Ford Tri-Motor because he was too small to see out the windshield. He enlisted in the Army aviation cadet program at age eighteen. Throughout his career, Hudlow extended to his subordinates the same high degree of confidence and respect that his father showed to him. The core of Hudlow’s book deals with the Cold War, a topic practically forgotten since the dissolution of the Soviet Union in 1991. He entered SAC with the initial B-47 deliveries and rose in rank and influence as the Command’s importance toward deterring nuclear war increased. Hudlow clearly enjoyed and was “most proud of” the everyday performance of his B-47 and B-52 crew duties. Promoted to staff level, he conceived modifications that improved B-52 capabilities. 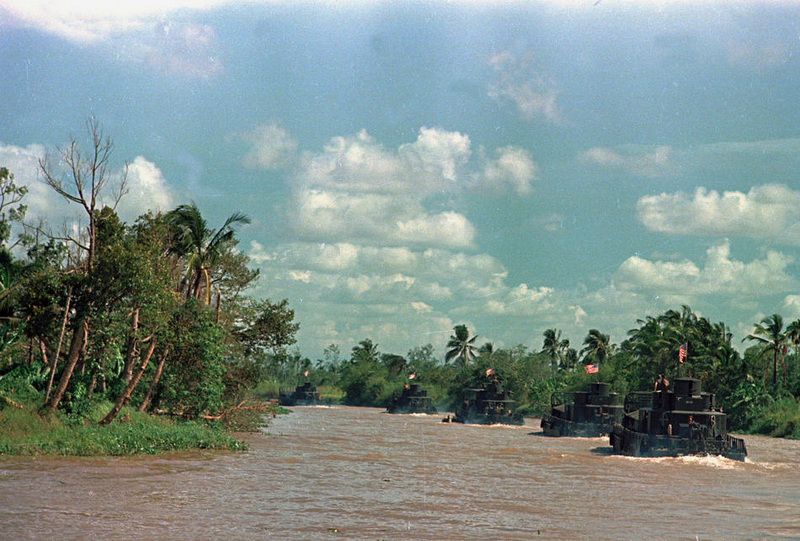 In Vietnam, Hudlow served on a targeting panel. He came to recognize that B-52 bombs were being fused incorrectly. He inspected recently bombed areas and flew with forward air controllers to validate that observation. He then designed new fusing practices that improved bombing results. After that, the Seventh Air Force Commander consulted with Hudlow about other bombing tactics. Upon his return from Vietnam, Hudlow failed to achieve his life-long goal of becoming a SAC Wing Commander and retired. He immediately went to work in private industry and spent many years traveling to parts of the world he missed while serving in the Air Force. Laren McClung is a poet from Philadelphia. Her poetry has appeared in War, Literature and the Arts and other serious journals. In Between Here and Monkey Mountain: Poems (Sheep Meadow Press, 64 pp., $14.95, paper) she thanks the William Joiner Center and the poets Yusef Komunyakaa, Vinh Long, and Bruce Weigl, among others. McClung also thanks her family “for their conversations, which made many of these poems possible.” These thank yous are clues to her connections to the Vietnam War. This poetry book has a creepy-beautiful cover from a famous painting that has nothing to do with the Vietnam War, but is suitably grotesque. The back cover has a long cryptic blurb from the great poet Bruce Weigl, who has written a Vietnam War poem or two. The title contains the clue that made me hope and suspect that this book was a book of Vietnam War poems, even though the back cover showed McClung to be a very beautiful young woman for whom the Vietnam War is likely an event that concluded long before her birth. That is surmise. I also surmise that her father is a Vietnam War veteran. The book has a large number of fine Vietnam War poems, perhaps having their roots in the above-mentioned family conversations or perhaps coming from the same wellsprings of imagination from which Stephen Crane pulled The Red Badge of Courage. Section three, entitled “Monkey Mountain,” is all Vietnam War poetry. It consists of thirteen pages of excellent poetry dealing with the tour of duty of a grunt. 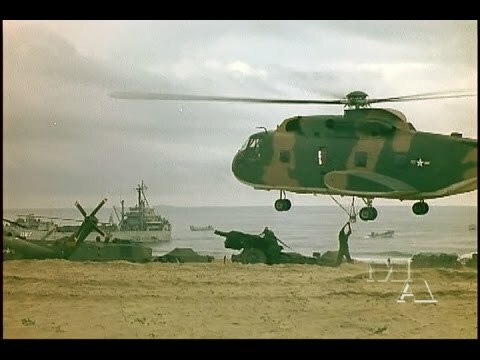 Friendly fire, bouncing betties, morning ambushes, LZ’s, the red-brown clay of Khe Sanh, the South China Sea, R&R in Bangkok, Pleiku, and Qui Nhon all make appearances. Someone was shot in the free zone. He saw her wedged under the Viet Cong. Did she know enough to play possum in the grass? he said he caught sienna of eyes opening. prisoner. She was four, he said. I wouldn’t have thought that a young woman who had never been anywhere near the Vietnam War could write that poem, but what do I know? Not just anyone can write a truly great Vietnam War poem, but Laren McClung has done it. In fact, she has written several. “Many of the poems are mysterious, passionate love poems,” the poet Stanley Moss says on the back cover, “and there are war poems.” That’s an understatement. Buy this book and read it and add it to that small shelf of Vietnam War poetry books that are worth reading, savoring, and saving. 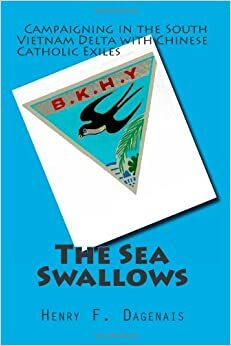 Henry F. Dagenais’s The Sea Swallows: Campaigning in the South Vietnam Delta with Chinese Catholic Exiles (Henry F. Dagenais, 448 pp., $13.99, paper) is a memoir of the author’s first Vietnam War tour, from September 1967-68. During that eventful tour of duty Dagenais served as a MACV advisor leading a small team of American troops working with a group of exiled Nationalist Chinese Catholics (the Sea Swallows) in An Xuyen Province in southernmost South Vietnam in IV Corps. Dagenais begins at the beginning with his flight to Vietnam and ends a year later with getting on a plane “to the United States, the land of the big PX and home.” In between, he provides details of his memorable year in the war zone. Wommack’s The Art of Leadership: Moving from Military to Industry (CreateSpace, 118 pp., $12.95, paper; $4.99, e book) is a gigantic book crammed into just over a hundred pages. Author David R. Wommack’s career stretches through several realms in the military (including serving as an Army lieutenant in the Vietnam War in 1969-71) as well in the public sector. The text is a clear-cut, well-organized guide designed to empower former military personnel to move into leadership roles in industy. It is obvious that the author speaks from personal experience in the workplace and not from a theoretical perspective. What makes this book unique are the first 88 pages in which Wommack describes the characteristics of a true leader and how military life, by its very nature, develops those important skills. I believe anyone with military training will better understand the possibilities for leadership roles as the author explains how to make the transition from military to industrial leadership. Chapter 3, “Leading,” is the book’s powerhouse. In it, Wommack explains how trust, honesty, and a willingness to take responsibility are integral components to successful leadership. Wommack also suggests using humility and humor—traits that one might not expect to come across in an industrial setting. Chapter 5 deals with motivating, training, and coaching of groups and individuals, necessary skills for any successful leadership career. Later, Wommack discusses finding a new job, covering areas such as resume writing, interviewing, and the need to be persistent in follow-up with employers. While this book focuses on individuals leaving the military, I believe it would be helpful for anyone looking for a career. Any energetic job seeker is bound to feel grateful for the empowering ideas Wommack presents. When you finish reading Wommack’s the Art of Leadership, the pages should be severely dog-eared and profusely highlighted. 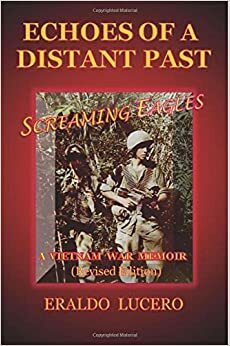 Eraldo Lucero’s Vietnam War memoir, Echoes of a Distant Past, first published in 2012, has recently been reprinted in a revised edition (CreateSpace, 190 pp., $35.38, paper). R. Cyril West was in elementary school during the Vietnam War. His novel, The Thin Wall (Molon Labe Books, 336 pp., $12.95, paper; $2.99, Kindle), takes place at the height of the war in 1968. It is set in Mersk in Bohemia in the former nation of Czechoslovakia during he time when the Russians crossed the frontier and took over the country. This time of uproar is used as a cover by the main villain of the book, Colonel Gregori Dal, to abduct an American Vietnam War POW and use him for his own ends. Gunnery Sergeant Russell Edward Johnston, a red-haired American captured by the Viet Cong, was supposed to be executed and buried in an unmarked grave deep in the Bohemian forest. That’s what the Kremlin ordered. But Dal had been recruited by a splinter KBG group to smuggle him to East Germany and then to Cuba where Johnston would become “a prized trophy for Castro.” I have no idea why he would be a trophy—and West never tells us. The author uses Johnston as a sort of a Hitchcockian MacGuffin to sustain the story and keep the novel’s plot moving along. This may sound like another piece of fictional POW claptrap, but this book is not. It is a literate and literary novel. Milan Kundera, Josef Skvorecky, Franz Kafka, and other great writers are referenced. Colonel Dal burns some of their books in a public fountain. Elvis and Beatles LPs are also destroyed. There is a large cast of well-developed characters and the author has provided a useful guide to them in the front of the book. There is a beautiful, young single mother the colonel becomes fixated on. She also is the object of attention from a doctor, an undercover spy long forgotten by his handlers. There is even a politically incorrect “village idiot” who is much more than comic relief. The men eventually fell into the hands of Russian intelligence agents who decide to hand them over to Soviet psychologists to be analyzed and then used as human guinea pigs in science experiments. I enjoyed this novel. I even bought into some of the Cold War paranoia. The tragedy of the Soviet occupation of Czechoslovakia is well-demonstrated in this book, which is a POW thriller only on its surface. There is a lot more going on in this well-written book. I recommend it.